Thank you for this announcement. 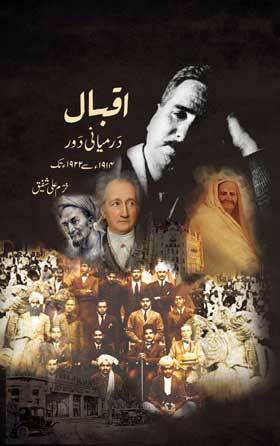 I look forward to obtaining and reading this biography of Iqbal! I am thrilled to read the introduction. Even if you had not declared it as unique i would know from the heart of my heart that it would be something extraordinary because this is how i have found you all my life, an apperantly quite but very deep and full of surprises. Good luck not to you only but to all the readers. Congratulation Sir. I was waiting for this book since i read first and second volume. What a stellar accomplishment. Many people who love the great poets and who deeply want to understand history and peace worldwide will find their way to these books. We (like many others) will continue to be transformed, enlightened and find one another :) because of your work. Your ongoing notifications to your students and friends becomes with this two-book announcement a joyous gift to us. And what beautiful timing with Ramazan and the 14 August date! How may one obtain these gems sitting in London? Congratulations !I am interested to buy both the books.As soon as I know the total price,I will send the money.